Apparently everyone but me saw American Gangster this weekend. Chili in particular requested a Hot People post in honor of this good movie. 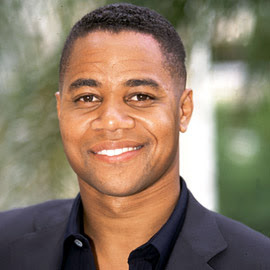 She requested some Russell Crowe and some Denzel Washington and some Cuba Gooding, Jr. 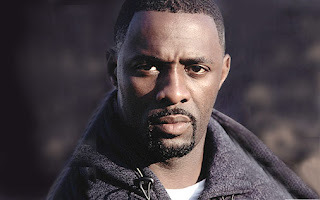 I added this first one, Idris Elba, who may be familiar to anyone who's watched the Wire. He's lovely. Sorry about the lack of chick love but apparently a gangster movie is not usually replete with chicks of any kind hot or otherwise. 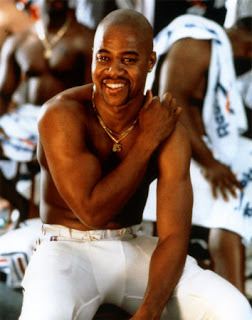 This is vintage Cuba, from Jerry Maguire. I think it's always wise to go back to basics. Now Russell is concerned, though. Perhaps he's afraid he's being upstaged. Russell hates to be upstaged. Denzel apologizes but he can't help who he is, can he? sweet mother of monkey lovin' that is just what i needed before bedtime. denzel. cuba. russell belongs to another, so I'll slobber over those boys. Oh, THANK YOU! MUCH yumminess - and the first picture is GORGEOUS! There were a lot of handsome black men in that movie, but none of whose names were familiar enough for me to request them here. 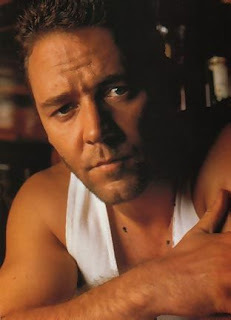 I've never been a Russel Crowe fan (though I've ALWAYS been a Denzel Washington fan), but you make him look good here, I've gotta admit! Oh holy mother, HOT. I love Denzel. I love how he can be all serious, then he smiles and it lights up 4 blocks. 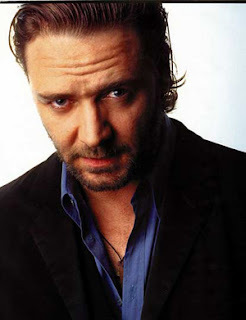 I don't love Russel Crowe, but he sure looks good here. Well done, Kizz. Well done indeed. Well everyone doesn't love Russell... that's fine because HE IS MINE! And I love him enough for the whole world. 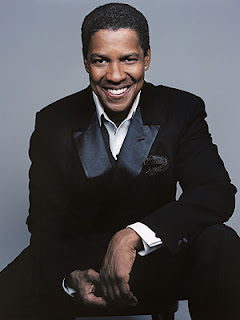 Denzel has never been the same actor for me since he did Malcom X. I love the Pelican Brief Denzel. The sweet, smooth, kina shy guy. Not this new...I have an edge and I can stare you down my man Denzel. Cuba is always fine. Show me the money baby! And what movies is everyone watching to be "not a fan" of Russell? He is a lower g to me carved out of cream cheese! The shining star in my midnight sky! Last time we drove down to Shreveport (LA) where they've been making all the movies they used to make in New Orleans (before Katrina), we stopped at a truckstop and there was a photocopied twenty dollar bill taped to the window and someone had written on it 'Denzel was here' and the date and he signed it. Which has nothing to do with your post, but I thought it was pretty cool. 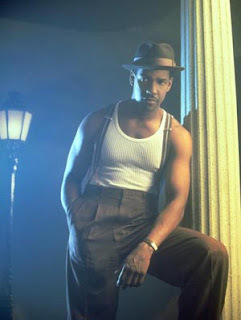 Also, Denzel makes my thighs sweat.